Add your personal touch to Momentum by changing the font or the color of Momentum's theme (i.e. menus). 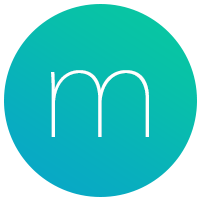 Font & Theme customizations are exclusively available to Momentum Plus members. Upgrade to Plus today to use these customization options and all of the other exclusive Plus member benefits! To change Momentum's font, click the Settings ⚙️icon at the bottom left corner of Momentum, visit the General section of Momentum's Settings ⚙️, scroll down to the Customize heading, and then click any of the Classic, Modern, Startup, Retro, Warehouse or Quirky options. To change your dashboard theme color, click the Settings ⚙️icon at the bottom left corner of Momentum, visit the General section of Momentum's Settings ⚙️, scroll down to the Customize section, and then click the Dark, Light or Custom option. When you choose the Custom Theme option, a menu with a few different color adjustment sliders will appear. Play around with these different sliders to find a custom theme that best suits you! To adjust the color's hue, click and drag the slider on the right, up or down. To adjust the color's saturation and brightness, click anywhere inside the colorful box on the left. To adjust the transparency of the menus, click and drag the slider on the bottom.